Our selection process for a teacher always considers experience, educational background and professionalism; however, personality is also an important consideration. SIB School fully understands to achieve a successful study and effective results it takes good unity between the student and teacher. A personable teacher who is able to adjust to the student’s way of learning is one of the characteristics that stand out from our team. Before assigning a teacher to a student, all of our teachers have to go through our multilevel training that assures they have expertise at that level of training in both using our teaching material and presenting it to our students. All of our teachers are proficient in English which enables them to effectively communicate with all students. Our teacher assignment process is based on expertise and training first; however, time, day and location are essential components of which teacher gets assigned to which student. Mega first joined SIB School as a part time Bahasa Indonesia teacher in 2008, but became a full partner in early 2009 as the sole proprietor of the school replacing our founding partner, Siska Sarwono. In 2010, SIB School became a PT (private corporation) and Mega became the President Director. She continues to teach Bahasa Indonesia in addition to effectively manage the business. She graduated from University of Indonesia with a Bachelors Degree in Indonesian Studies and is currently pursuing an MBA at Gadjah Mada University. Mega is also co-author and coordinator of 2nd Edition, ”General Bahasa Indonesia Beginner Level” book and our ”Daily Indonesian” 1 & 2 books. Co-founder of SIB School, Barry built what SIB is today with the enormous assistance from the partners and current staff. Barry’s background in Quality Engineering with IBM became the backbone of SIB’s quality language programs. 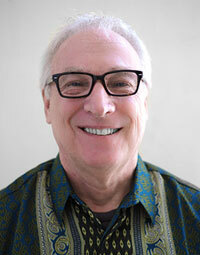 In addition to a Bachelor of Science degree in Management from Mount St. Mary College in New York, he has been teaching English since 2000 in Jakarta which has brought insight to the needs and demands for English language training. Ayu joined SIB School in 2009 as an administrative assistant and moved up the ladder into management quickly. She not only manages the office, but also administers all financial matters in addition to being the first point of contact when you, our client, call or email. Her educational background in English Studies (D III) and vast knowledge of computers strengthens our team to provide quality service to our clients and office. Ayu is currently pursuing a degree in Computer Programming. Ella joined SIB School of Language in early 2014 as our Mandarin Program Advisor reporting directly to our Program Director. She comes from China and has plenty of experience teaching foreigners, from adults to children in both China and South Africa over the past 8 years; so she knows how to advise our management on how to develop our teaching staff on the best methods and techniques teaching Mandarin to children and adults. She also has a Bachelor Degree of Traditional Chinese Medicine from Tianjin University in 2009 and has certification as a Senior Chinese Language Teacher from the International Profession Certification Association in 2011. Riri started with us in 2010 as a part time teacher and joined our full-time staff in 2012 bringing a wealth of experience. She earned a Bachelor of Psychology from State Islamic University in 2006 and a Diploma of Publishing from State Polytechnic of Jakarta in 2004. She began her teaching career in 2006. She has advanced English speaking and writing skills in addition to being a well-experienced editor and translator. With this background it gives her unique benefits in teaching Bahasa Indonesia to expatriate students and English with her warm and friendly personality. She is also a co-author of our all new, 2nd Edition, ”General Bahasa Indonesia Beginner Level” book and our ”Daily Indonesian” 1 & 2 books. 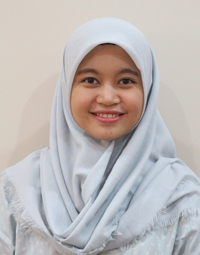 Nur Puspita (Ita) is SIB School’s newest Marketing Manager in Yogyakarta in 2017. She holds a Bachelor’s Degree in International Relations and has obtained her MBA from the University Gadjah Mada in Yogyakarta. Ita brings a wealth of insight to our company regarding our education programs in Jogja and a new, fresh approach in marketing techniques and attitude. Ayu joined SIB School of Language in 2016. She has a Bachelor Degree in English Literature from Sarawati Institute of Foreign Languages in 2010 and also has six years of management experience with a multi-national company. Her personality and attitude is a perfect fit for the SIB family and as a Business Development Manager in our Bali Satellite Office. 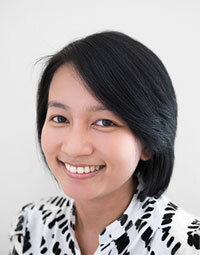 With these personal and additional skills, Ayu is an excellent asset in our Bali office. 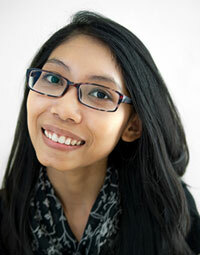 Leni joined SIB School of Language in 2012 as a primary full-time Bahasa Indonesia teacher. She is highly skilled in all levels of Bahasa Indonesia from private to classrooms. She has an amazing ability to help the student understand Indonesian grammar in a simple, fun way. With a Bachelors Degree in Criminology and a Diploma of Linguistics/Languages (French) from the University of Indonesia, she also has taught French and English. She is also a co-author of our all new, 2nd Edition, ”General Bahasa Indonesia Beginner Level” book and our ”Daily Indonesian” 1 & 2 books. Naila joined SIB School in 2013 as an English teacher bringing with her six years of English teaching experience. She obtained her Bachelor’s Degree in Education, English Department, from Islamic State University. Her teaching responsibilities are split between English and Bahasa Indonesia. Although she appears to be very serious, her students soon realize she is fun and effective in her training skills. She is also co-author of our ”Daily Indonesian” 1 & 2 books. Sita came to us in early 2015 as our Marketing Assistant/Teacher who will be managing SIB’s social media marketing campaign using Facebook, Twitter, Newsletters, Blogs, and various other tools. She will also be teaching English. Sita graduated with a Bachelor of Arts degree from the Insitut Teknologi Bandung in Fine Arts. Her English and Bahasa Indonesia are at the highest levels which makes her an excellent teacher. She has the SIB School personality that we provide for all of our students. She is a welcome addition to our marketing staff, teaching staff and SIB family. Julie joined us in 2015 as one of our full-time English teachers. She earned a Bachelor Degree in English, Faculty of Teacher Training and Educational Sciences from the University of Nusa Cendana in 2012. Julie has a wide range of teaching experience ranging from children to adults in the disciplines of Bahasa Indonesia, General English, Conversational English and Writing skills. Julie strengthens our English teacher staff because she knows how to build confidence in her students and she has a great personality that makes you want to learn either Bahasa Indonesia or English in a fun way. 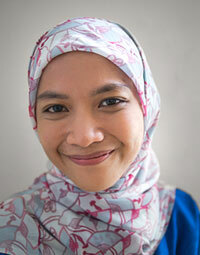 Faiza is our newest full-time Bahasa Teacher. She attended the State University of Jakarta (UNJ) where she earned a degree in Indonesian Literature in 2013. Faiza has written one novel already and hopefully there will be more to come. Her warm, pleasant personality is the perfect fit to our fast growing staff and we know that she will bring a lot of fun to her Bahasa Indonesia students with her wit and humor. Herlina joined SIB in February 2016 as a full-time English teacher. She received her Bachelor Degree in English, Faculty of Letters and Culture from Udayana University on Bali. She has a wide range of teaching experience ranging from children to adults in all the different English skills. Lina has a wonderful personality that resonates in her classroom making learning with her fun, exciting and professional. Her skills as a Bahasa Indonesia teacher also get positive response from our students. We have between 20 to 30 active part time teachers at any given time who are all worth mentioning, but here we have selected only a few that we would like to inform you about because of their loyalty and dedication over the years. Risda first joined SIB School of Language in 2011 as a full-time English teacher. She has a Bachelor Degree in English Education from Atma Jaya Catholic University. With the multi-level training that she has obtained from SIB School, she has now developed her skills in teaching Bahasa Indonesia in addition to her English training responsibilities. Her professionalism level is superb and feedback from her students proclaims her as a cheerful teacher for school age students and a lively teacher for her adult students. She also teaches Bahasa Indonesia and a co-author of our all new, 2nd Edition, ”General Bahasa Indonesia Beginner Level” book and our ”Daily Indonesian” 1 & 2 books. Irma joined us in 2009 as a full-time English teacher and taught all our English programs in addition to Bahasa Indonesia. Her education is in Political Science, holding a Bachelor of Science Degree in International Relations from Christian University of Indonesia. Her best personality characteristic is just full of fun and enjoyment both in and out of the classroom. Although she is no longer with us full-time, she is still part of our team/family; currently volunteering her weekends (Sundays) to our Project Opportunity community project teaching young children English for free in Cipete Utara, managing the project and participating as an assistant in our various seminar/workshop projects. Irma is currently pursuing her Masters degree in Asian Studies at Ohio University, USA. Reny has been with SIB School since 2011 when she joined us as a full-time teacher. Although she has since resigned as a staff teacher, she has remained as a part time teacher. Her passion in teaching Bahasa Indonesia to foreigners has resulted in nothing but positive responses from her students. Although not coming from a linguistic background, her overseas working experience has given her very personable approaches to foreigner student teaching. 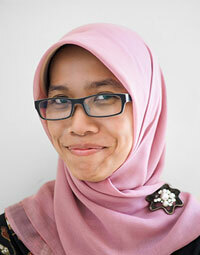 Ayu joined us in 2010 with an expertise in Bahasa Indonesia for foreigners and English as a foreign language. She graduated with a Philosophy Major from Islamic State University of Syarif Hidayatullah. She not only teaches English as a day to day application, but she also has the experience on training school teachers on how to deliver their subjects in English. With her lively personality, the students always feel excited to practice using the language that they’ve learned from her. 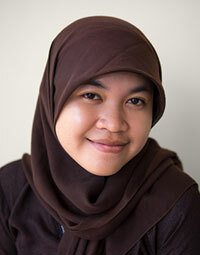 Joining SIB School in 2010, Fatma’s specialty is teaching our Bahasa Indonesia program. In addition to English, Fatma has the ability to speak Japanese allowing ease dealing with our Japanese students who need to learn Bahasa Indonesia but don’t understand English well. In her years of experience she’s been handling private to classroom programs; Bahasa Indonesia for kids and adults. Dian came on board in 2014 as a Bahasa and English teacher. She has a degree in Mass Communications from University of Prof. Dr. Moestopo and with it comes a bubbly and outgoing personality. She has a unique way of motivating her students to learn the language with a disciplined manner, but at the same time having fun and delightful sessions. Henny Prabayanti joined SIB in April 2017 as one of our Mandarin teachers. She has attended the University of Indonesia (Diploma III) and the University of Al-Azhar (S1) for Chinese Education and Culture, in addition to Chinese Literature. Henny has been teaching, translating, and interpreting Mandarin for 12 years. She is an all-around experienced teacher who is fun and very personable. Henny is a valuable addition to our teaching staff. Hana has been with us since 2007 and holds Masters and Bachelor Degrees in Chinese Literature Department Faculty of Humanities, University of Indonesia. 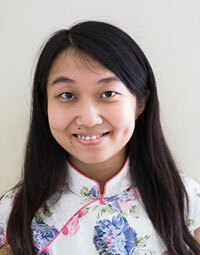 She is our Mandarin Program developer and one of our teachers. As a program developer she selected the materials and developed the curriculum and syllabus for each program. She’s likeable by all her students from children to adults. With a relaxed and enjoyable way of teaching, all of her students have gained Mandarin language skills easily. Sherly is our newest manager/teacher in our new Batam Satellite Office while currently studying Business Management at the Universitas Putera Batam in the evening. With her enthusiasm, sparkling personality, willingness to learn our business and a motivation to not only learn, but to succeed in her goals we have trusted her to take on the office solo. In addition to managing, she is marketing and teaching English and Bahasa Indonesia. Her speaking Mandarin skills make her the perfect selection for the Manager/Teacher position in Batam. First joining SIB School in August 2012, Rina now has handled various Bahasa Indonesia classes ranging from private one-on-one to large classes. She graduated from Javanese Studies, University of Indonesia. Her friendly personality makes her easily accepted by her new students. Other than teaching the language she also likes to add the cultural information in her teaching. Gya is a fresh graduate from University of Indonesia in the Nursing Faculty. She came to us in 2014 and has become very active in our Bahasa Indonesia programs and displays a compassion for the students in their learning the language and the culture. She is fun, enjoyable and well liked by all her students. Sherly joined us in 2013 and has gained a great deal of teaching experience. She can handle individual to large classes. She graduated with a degree in Social and Political Science from University of Indonesia. She has a pleasing personality that all her student’s love. Having her as a teacher will be fun and enjoyable while learning the language effectively. Her students know her as Rere and she has been with SIB School as a part time Bahasa Indonesia teacher since 2010. Her full-time work is as a corporate secretary where she deals with business situations often. This background gives her an advantage when dealing with Bahasa students coping in Indonesian business situations every day. With the capability of customizing the language practice and exercises to the student’s business environment, she can easily fulfill her students’ requirements. Kiki has been with us since 2012 as fulltime English teacher. Her expertise is in English as a second or foreign language. Her bubbly and energetic characteristics have brought a positive atmosphere to her classes and students. With an English major as her background and teaching as her concentration, she can deliver any kind of English-related training to different audiences and students; private to large classes. She is also a co-author of our all new General Bahasa Indonesia Beginner Level book. In 2015, Ajeng became our co-manager / teacher of our new Jogjakarta Satellite Office. Jeng has her Bachelor Degree in English Literature from Senata Dharma University and is currently pursuing her Master’s in International Relations at Universitas Gadjah Mada Jogja. She has a wealth of teaching experience and we are very pleased to have her in our family. Vere, to all of us, obtained a degree in Economics from Atma Jaya University in 2013. She joined us soon after and has been a very active English and Bahasa Indonesia teacher. Her classroom personality has all her students’ eager to learn and eager for the next session. 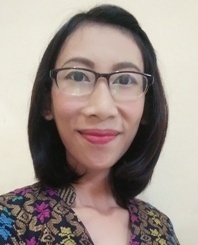 Ade has a Business Law degree from University of Indonesia and just loves to teach her language and culture to expats from all over the world. Although she only came to us in early 2015, she has already found her comfort zone in teaching and her students just love learning from her. Marcia joined SIB in late 2014 as a Bahasa teacher. She has a degree in Economics from University Klabat Manado which also gives her a good proficiency in communication about current events. Her passion and work ethic make her the perfect Bahasa Indonesia teacher for the expats as well as for SIB School. Putri joined SIB School in September. She graduated with a Bachelor Degree in Social Science from Ritsumeikan Asia University, Japan. She has been teaching writing and general English since 2010. Putri is also a published writer of poetry and essays. She is fluent in English, German, Japanese in addition to her mother tongue. Her diverse background abroad adds a new dimension to SIB School.